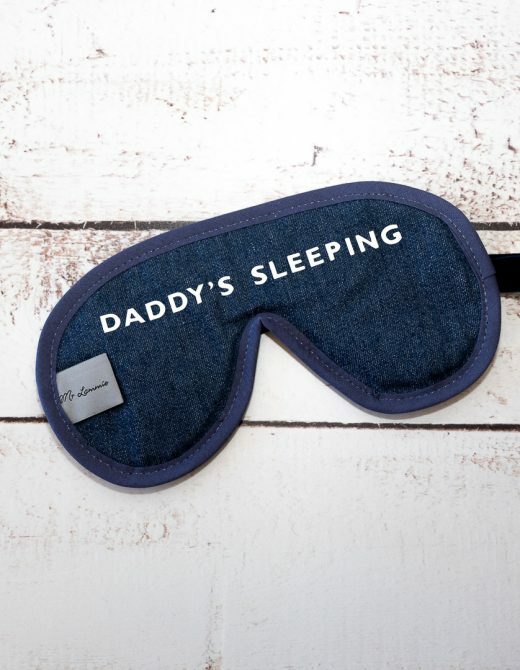 Category: mrlammie. 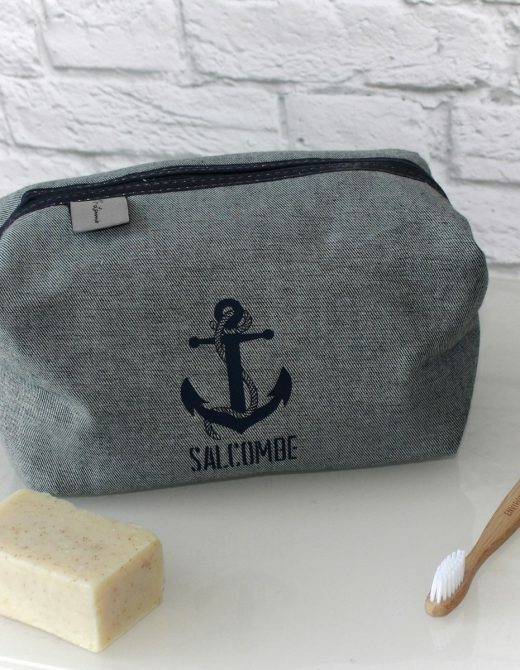 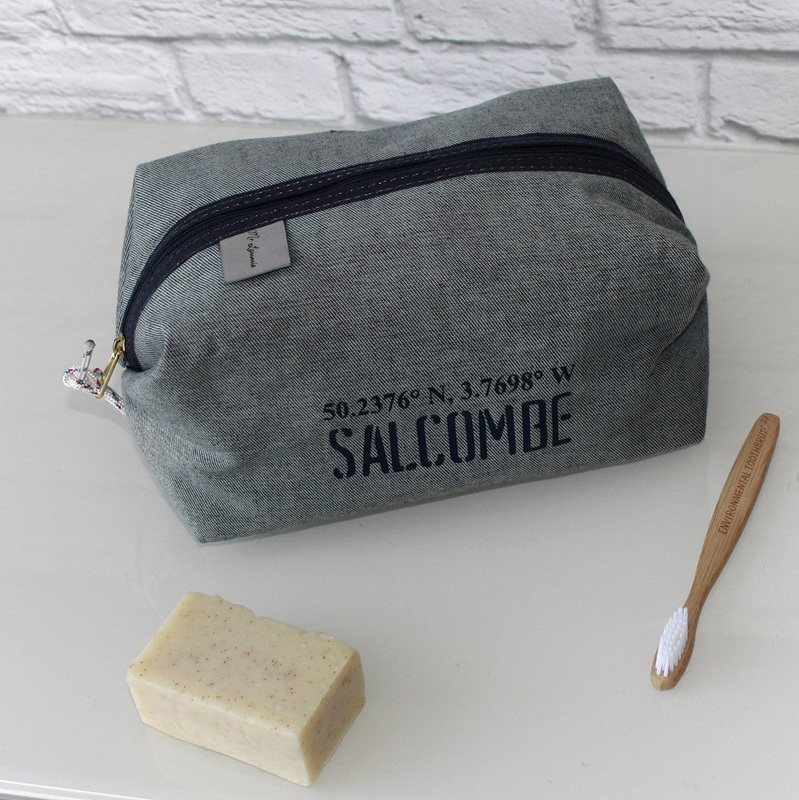 Tags: Men's Toiletry Bag, Men's Wash Bag, Salcombe, Travel Bag. 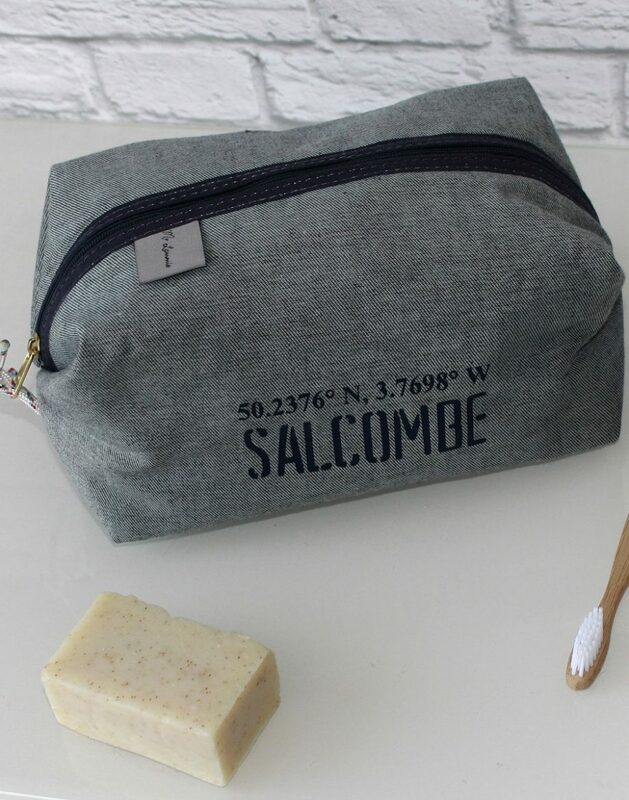 Our men’s wash bags are stylish yet very practical. 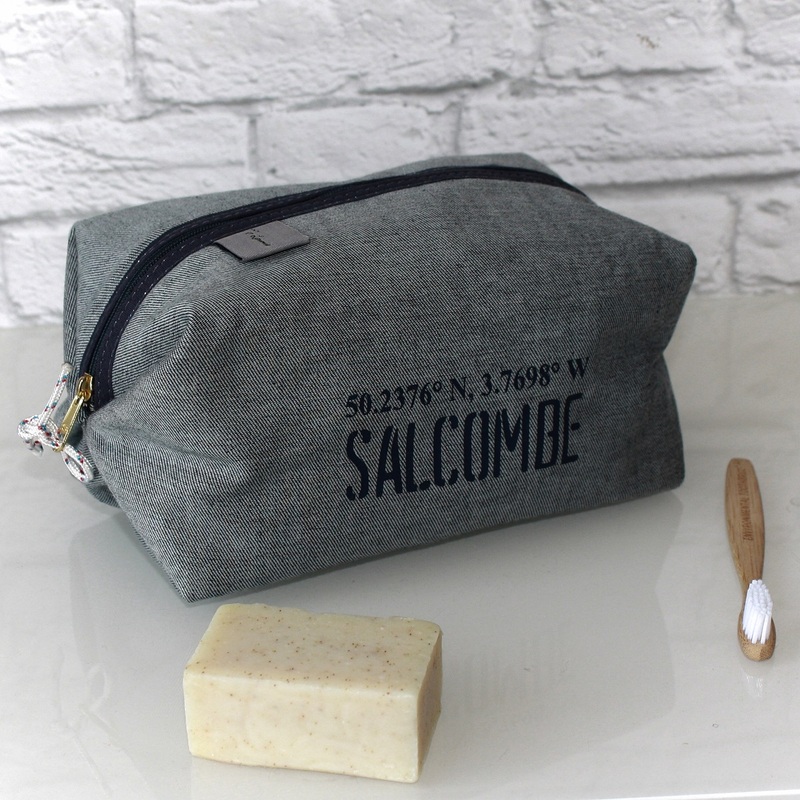 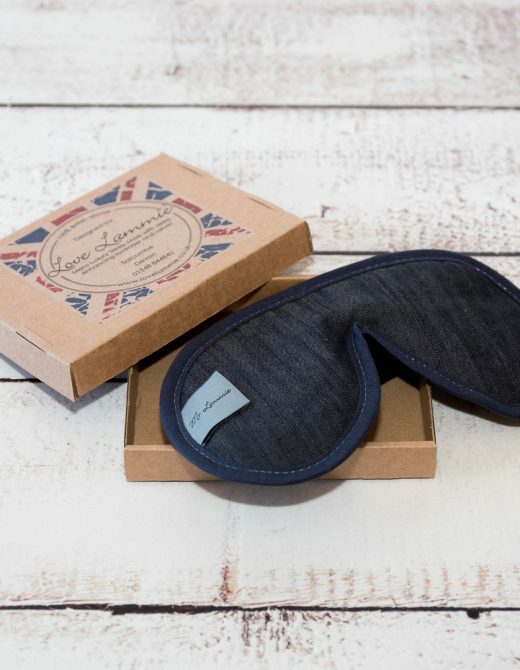 Made from denim they come with a waterproof lining too. 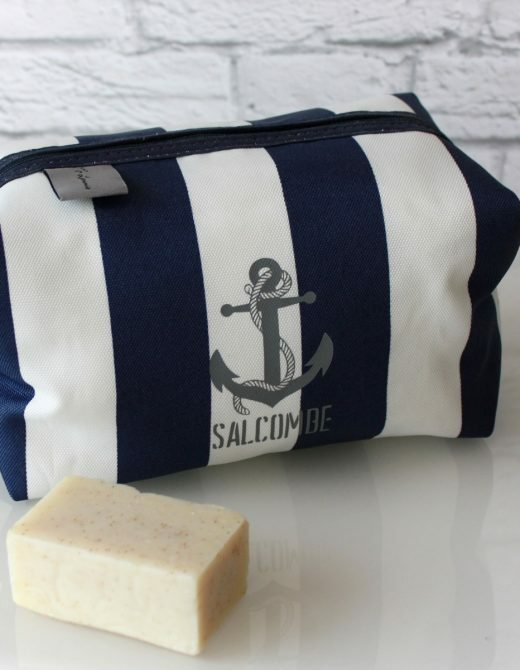 One central zip across the top with nautical rope puller making it easy to access your products. 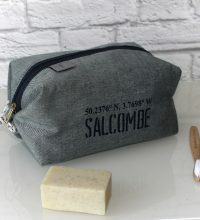 Trimmed with a navy contrasting binding. 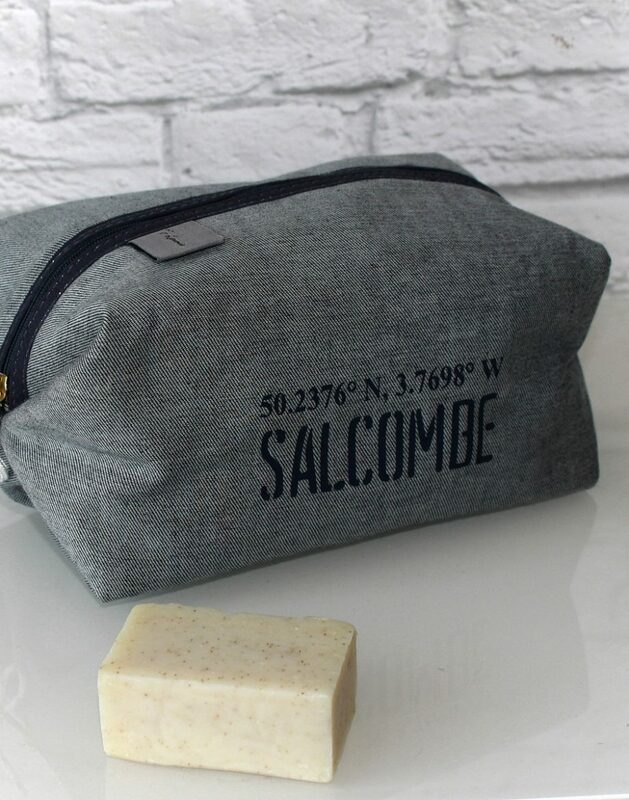 This reverse blue denim wash bag with navy Salcombe coordinates print.